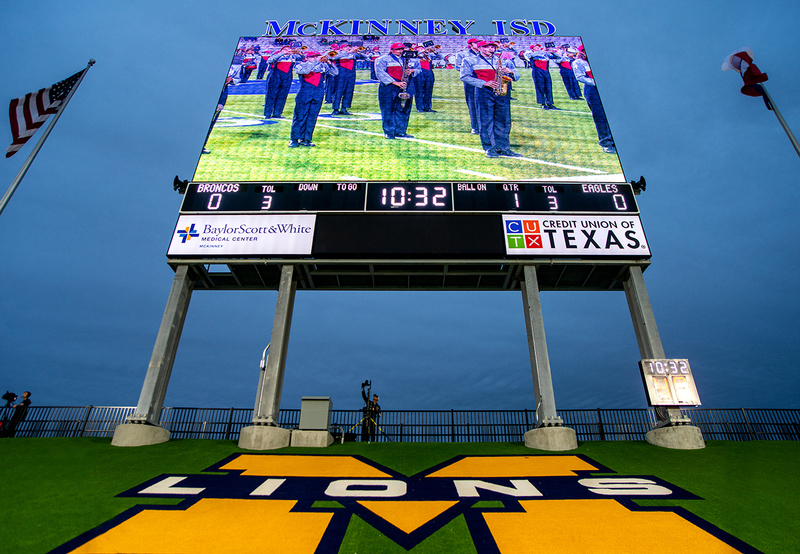 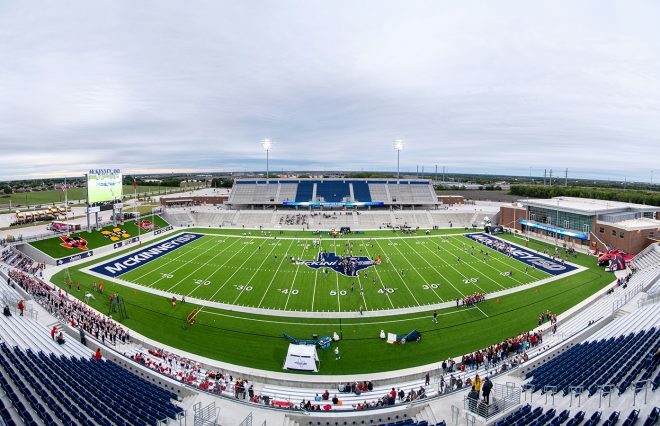 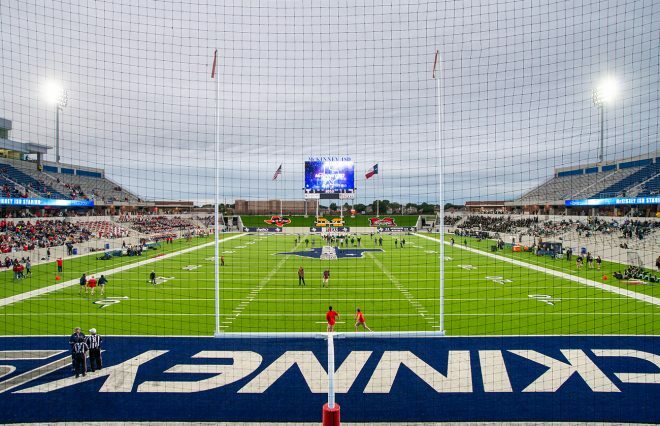 The McKinney Independent School District on Tuesday broke ground on what will be one of the most expensive high school stadiums in the nation, serving three high schools. 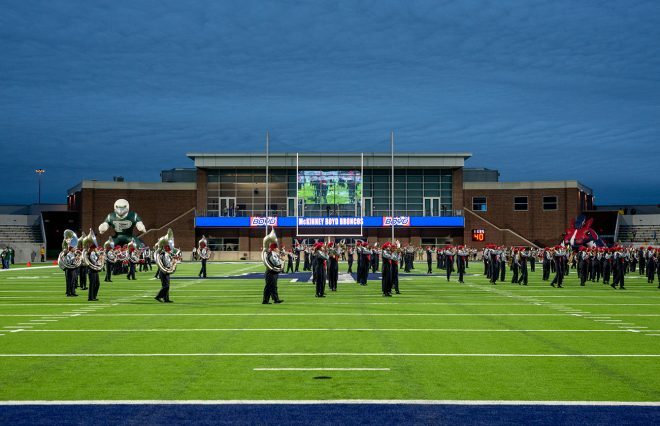 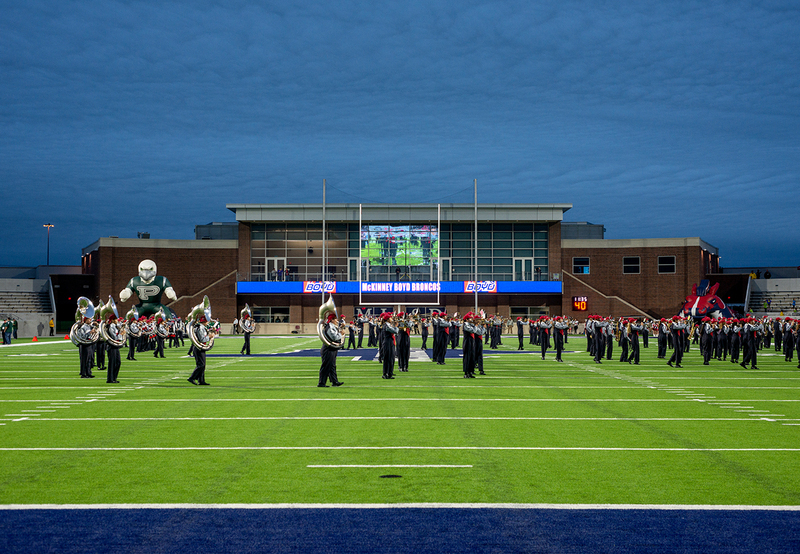 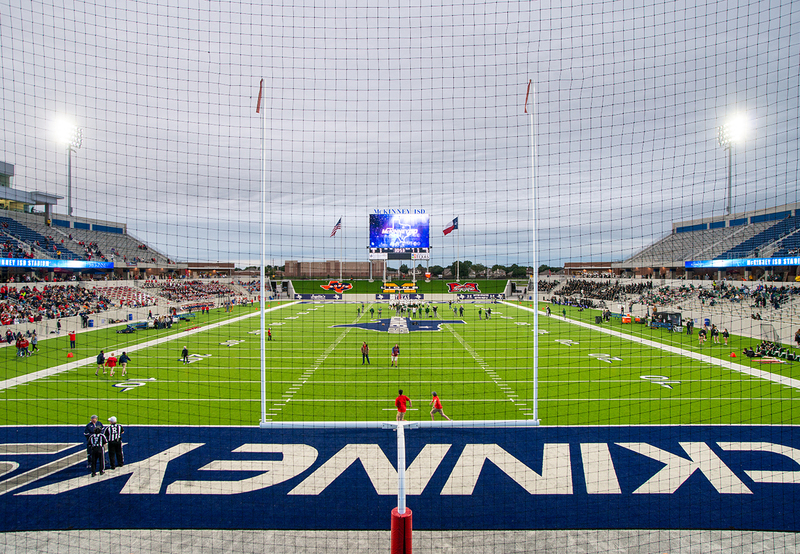 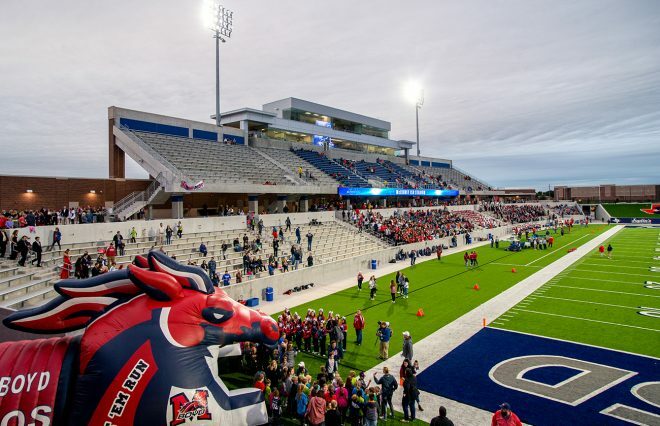 Soon, an open lot at the intersection of Hardin Boulevard and McKinney Ranch Parkway will transform into 12,000 seats, and home for the school district’s football team, soccer team, marching band and other events. 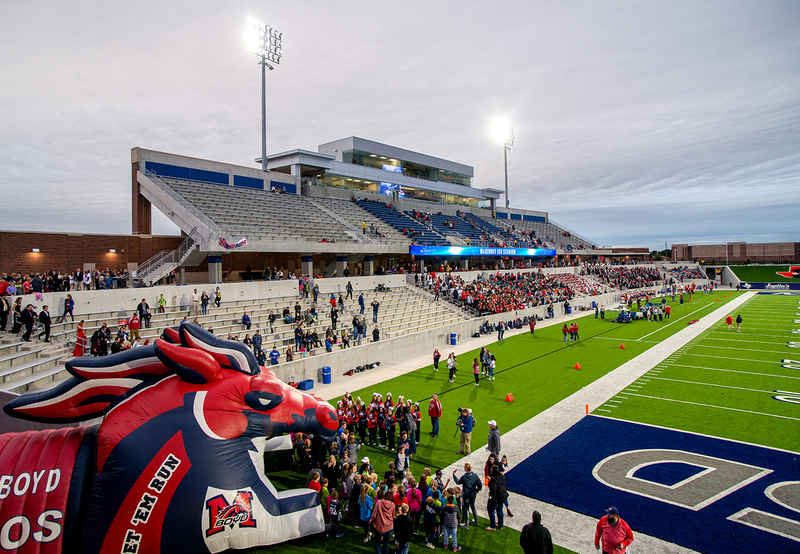 District leaders are touting the new stadium as a modern facility with space for community gatherings, banquets and class reunions. 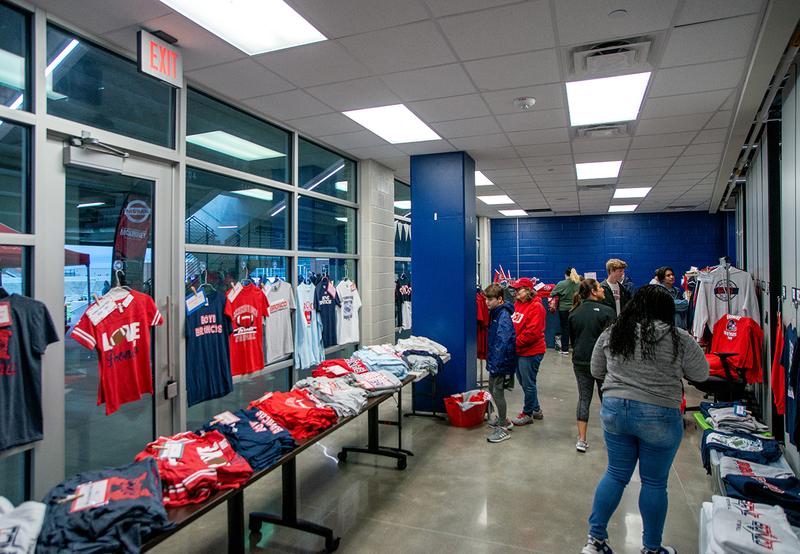 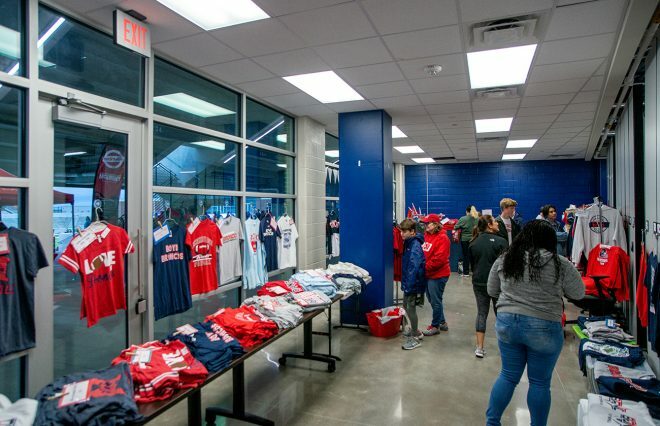 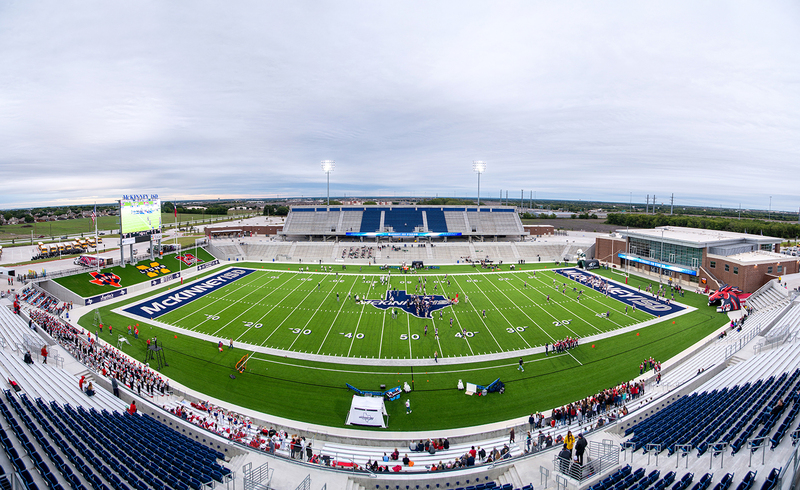 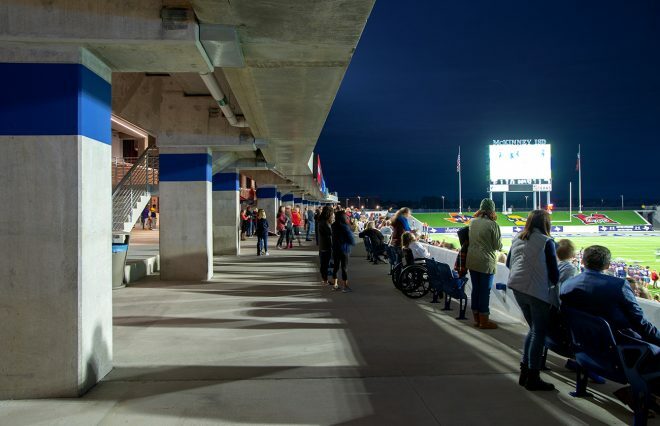 The prominent location of the new stadium — with access to both Highway 121 and Highway 75 — was selected so that visitors could find it easily, including players for both home and away teams, and their fans. 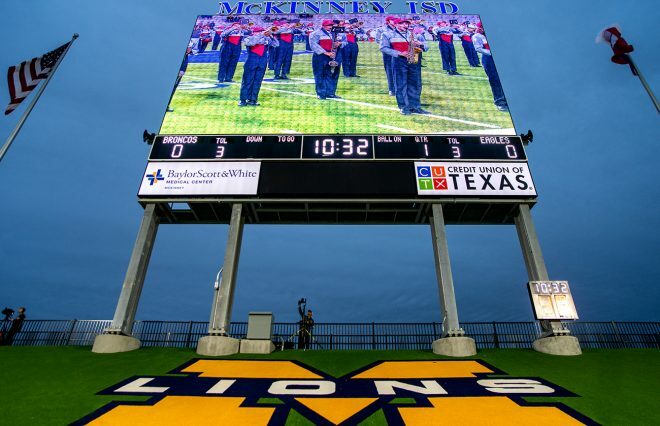 This is part of a $220 million bond package approved by voters in May, which also covers renovations to schools. 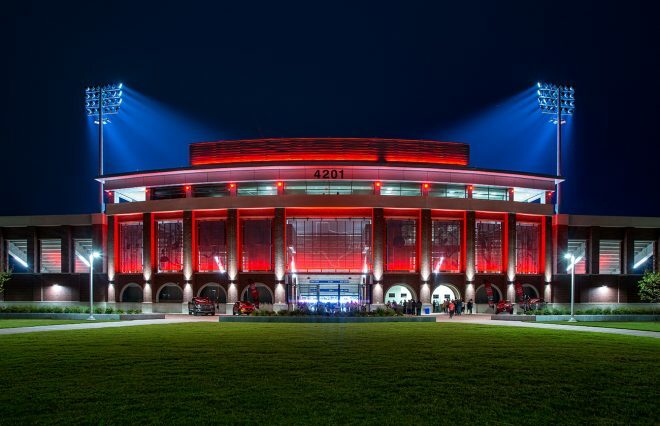 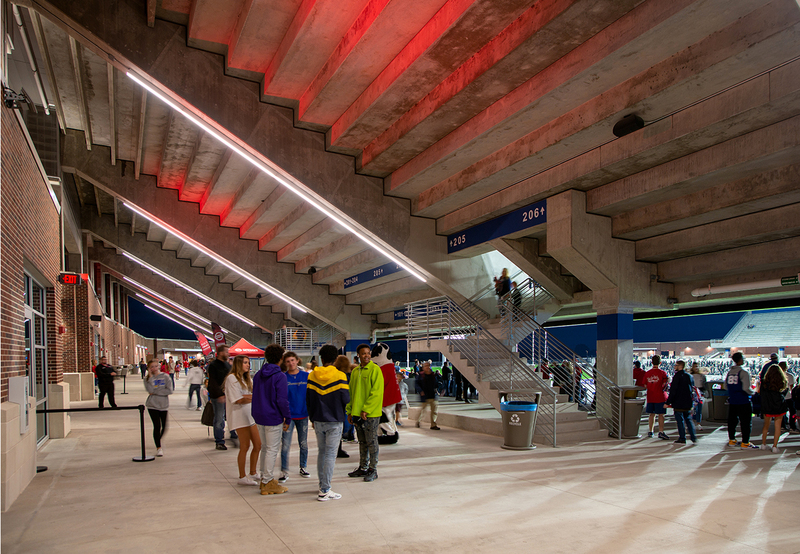 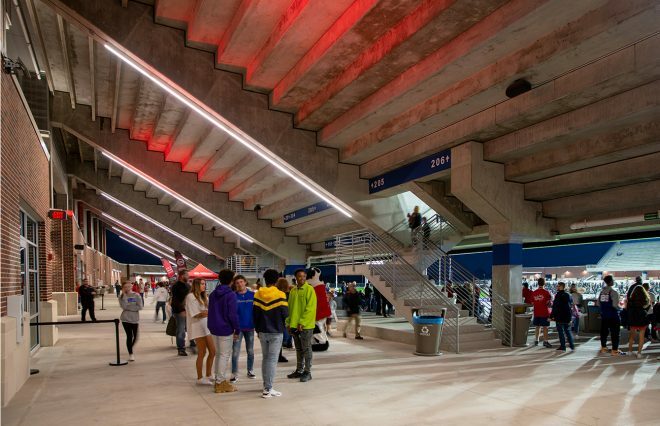 The stadium was initially expected to take up to $62 million of that money, but the rising costs of concrete have now pushed that total cost to over $69 million. 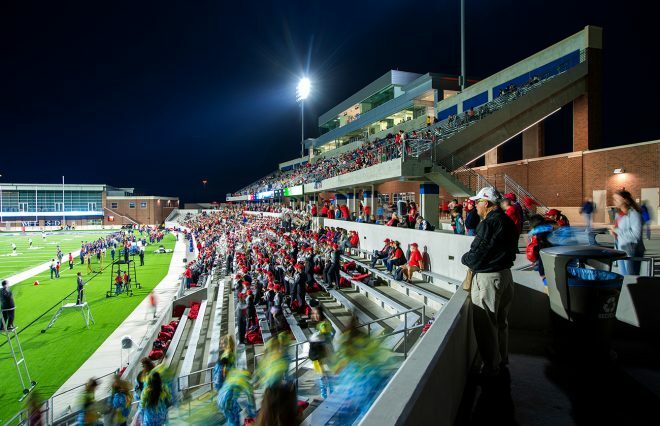 The increase is not expected to impact taxpayers.